Ballpark Estimate: $1,500 per year. Are you afraid of commitment, at least when it comes to adopting a pet? Then you may be glad to know about a new concept that lets you “borrow” a dog — whether you want to enjoy it for two hours or for two days, the choice is yours. For some people, this is pet ownership at its best, since you don’t have to worry about the responsibility that comes with having a dog, but can still reap the benefits of spending limited amounts of time with man’s best friend. More than 44 million people currently own dogs in the United States. But there are many more people who’d like to have a dog but can’t, either because they live in an apartment where pets aren’t allowed, or because they work long hours or travel often, making it impractical to care for a dog on a daily basis. Thus comes the rationale for a service where pets are shared. If you are interested in the whole idea of renting a pet, there is a company –Flexpetz that offers its members the chance to share a pet with no strings attached. While some shelters, such as Stray Rescue of St. Louis, provide people the chance to temporarily care for its dogs, this is the first such commercial endeavor of this kind in the United States. Flexpetz currently has offices in Los Angeles and New York, with new locations currently in the works in San Francisco, Boston, Washington, D.C. and London. In addition, a host of other branches are planned both in the United States and internationally, indicating that the idea appeals to people in many different geographic locations and lifestyles. Generally, the target audience for such a service seems to be professionals who live in big cities and want to try out pet ownership without too much risk. But families who live in apartments, older people who aren’t equipped to care for a pet and even college students who don’t have time to care for a dog all week but want the benefits all are good candidates for sharing a pet. While the idea of renting a pet is said to be a great way to save a pet from life in a shelter and avoid the danger of being put to sleep eventually, this practice is also the subject of much controversy. Animal rights activists and other opponents argue that it’s unfair to a pet to move him or her from home to home without the chance to bond and have a stable and loving existence. They also say that it sends the message to kids that it’s okay to send something back when you are tired of it. Finally, they stress that there are lots of dogs in animal rescue programs that would better benefit from individuals volunteering to walk them and visit them in their own, consistent setting, rather than paying to take a dog home sporadically, on a whim. Yet proponents of renting dogs for money point out that the dogs who participate in a shared ownership program receive lots of love and attention from individuals and families who take them in and this offers a great alternative to being in a pound or put to sleep. In addition, many families who share a dog also ultimately find they can make it work on a more permanent basis and some decide to keep one in the end. Supporters also point out that the busy schedules that make pet ownership only a dream for participants also makes it almost impossible to interact with pets in the limited visiting hours available through shelters and pounds. That’s why these people need an option that can be worked around their personal schedules. Further, when it comes to renting pets, the dogs are supposedly handpicked to be good personality matches to rotate from home to home on a regular basis. In addition, host families must meet certain criteria and must undergo a mandatory training on how to care for the pets before being able to take one home. The dogs who take part in the program receive regular visits to the vet, are well-groomed live in a comfortable and healthy environment with a consistent caretaker and when they are not being taken in for a visit. All of these things are said to benefit the pets and make this a viable option, supporters stress. At Flexpetz, there are substantial costs that come with membership. All members pay an annual charge of $99.95 to belong, plus a one-time training fee of $150 to cover the cost of a mandatory training session. In addition, they are also responsible for a monthly fee of $49.95. Further, a separate cost ($39.95 daily on the weekends, or $24.95 per weekday) is tacked on for each day (or partial day) that they actually have one of the dogs. As part of these membership fees, participants are provided with all of the tools they will need for the pet visit, including a dog bed, pre-measured dog food, leashes and bowls. There is also an option for pets to be delivered to a participant’s door. The average cost for this transportation is $35 for the roundtrip for each visit. It is also important to note that Flexpetz requires its members to take a dog at least two visits per month. (In fact, if they are unable to for any given month, they are obligated to pay a minimum charge of the cost for two weekdays.) If a pet is returned late, a fee of $75 is added to their tab. When you add up all of these various costs, renting a dog is not as inexpensive as you might expect. But while the costs aren’t so low, a recent article in Business 2.0 Magazine provides a good comparison of renting a pet through Flexpetz and owning a dog straight out and shows that no matter which way you go, the privilege of enjoying a dog has its costs. Dog-sharing service members pay an estimated $1,500 in fees the first year to participate. The cost of owning a dog for the first year, including food, vet bills and other incidentals, totals approximately $3,000 (not including the cost of purchasing the pet). While it seems like one company currently has the cornerstone on renting pets, the idea has gained so much attention that it is only a matter of time before other entrepreneurs jump in. 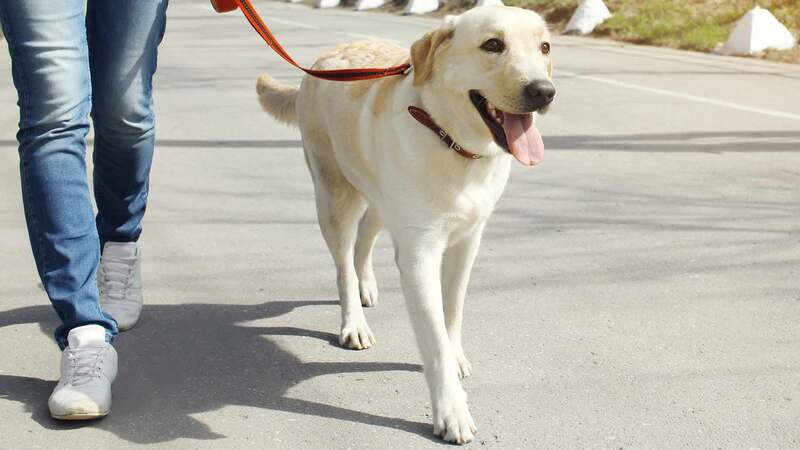 One pet owner in Washington, DC, has adapted the Flexpetz business plan to a smaller niche, offering to rent his dog to eligible bachelors for a small fee. In addition to participants having the privilege of walking the dog, he also throws in some advice for meeting women. And some hotels actually have adopted dogs and offer its guests the option of walking them, which seems to be taking off big. Of course, it is not only in the United States that pet sharing has found its niche. In Japan, the concept of pet rentals has been very popular for the past few years. They have 134 companies that rent pets in that country (up from just 17 in 2000). So dog sharing seems to be a growing international trend.